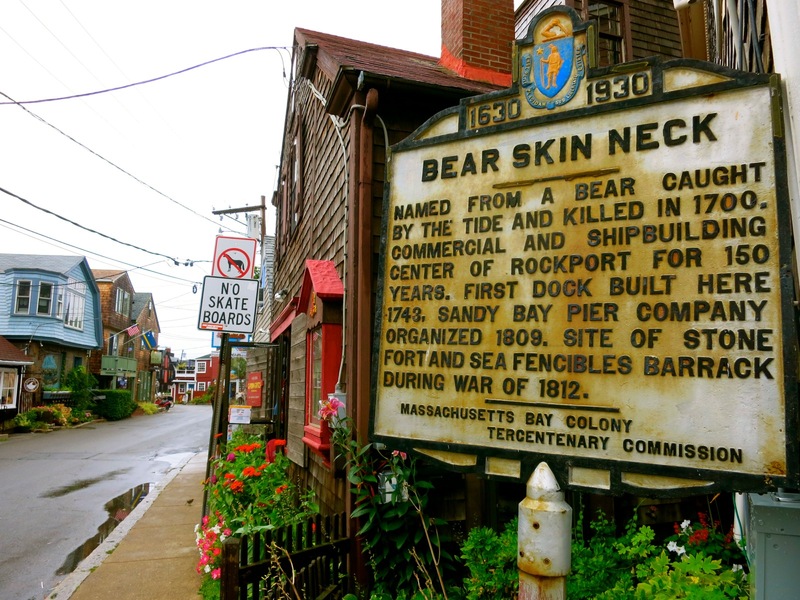 WHY GO: Rockport MA is a seaport village as imagined by Hollywood. 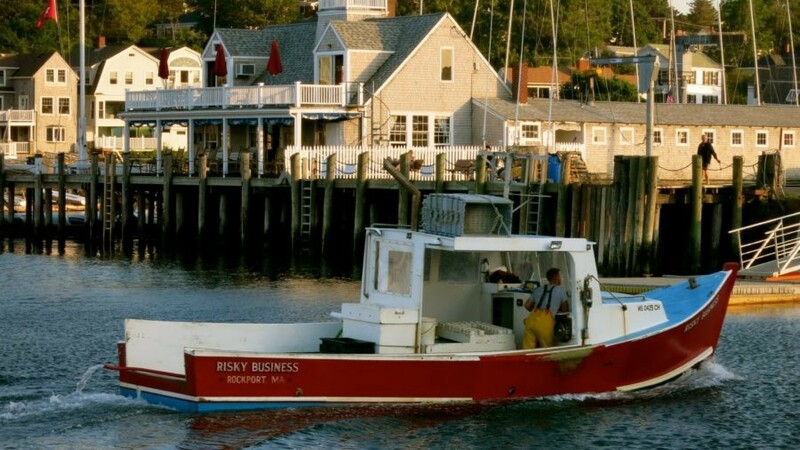 Roads turn into lanes that front a busy lobster-boat filled harbor. Fishing shacks, now art galleries and boutiques, seem precariously balanced on waterfront rock walls and piers. 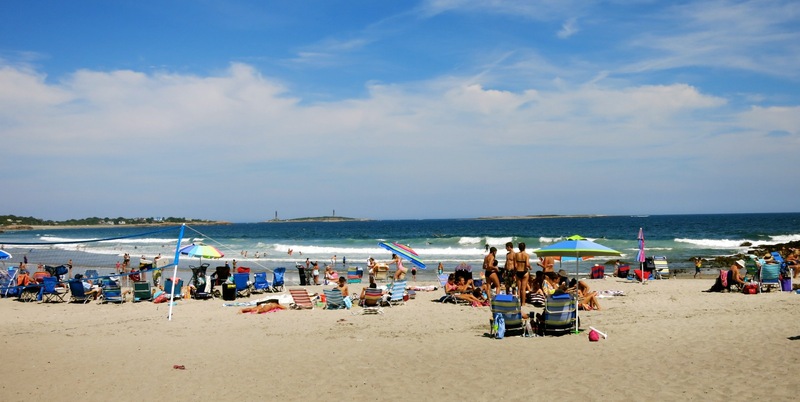 This picture-perfect New England seafront town is nearly 200 miles from the town of the same name in Maine, and is easier to get to. 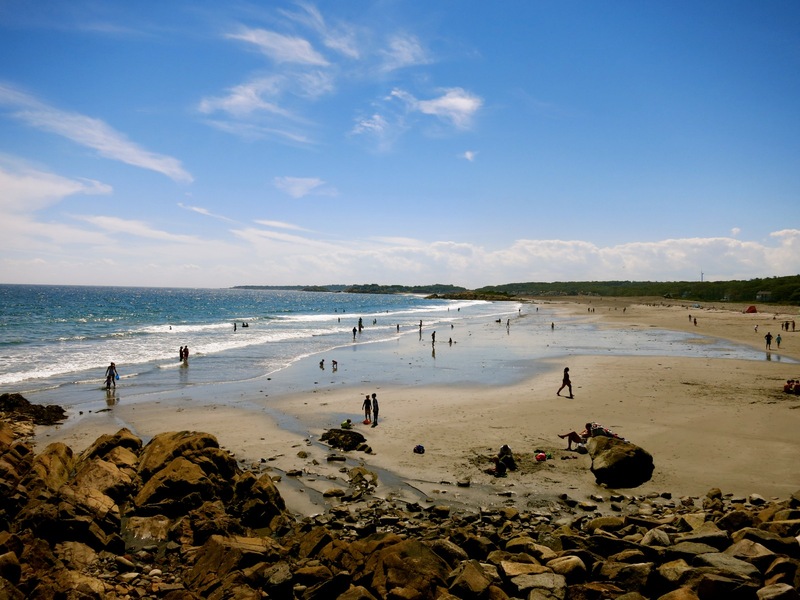 As does its Maine counterpart, Rockport MA also fronts the Atlantic Ocean, has a rocky coastline, and is known for lobster shacks. But this Rockport is less than an hour’s drive from Boston on the “Other Cape” – Cape Ann – and more accessible than the crowded Cape Cod. 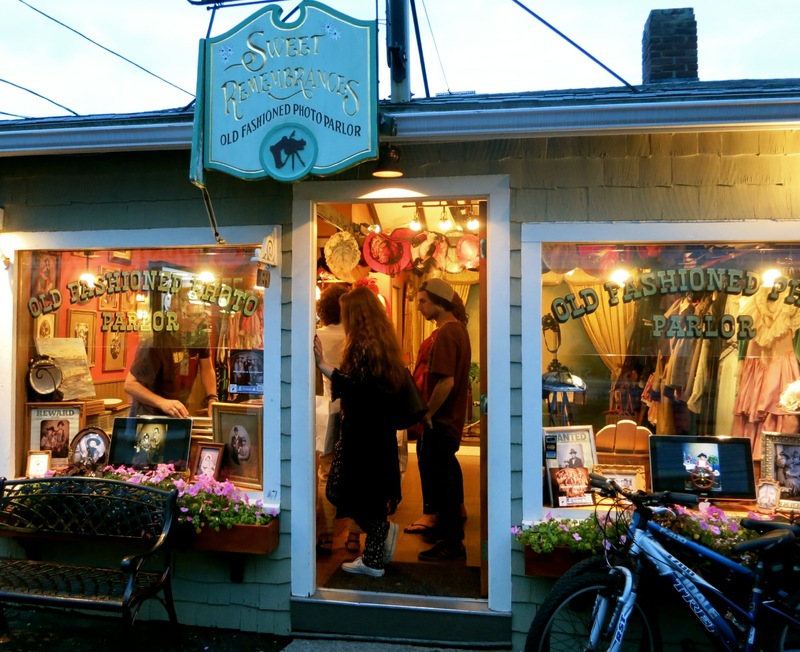 In the summer, Rockport, especially shop-crammed Bearskin Neck, teems with tourists. Best to go in the shoulder season (May/June or Sept/Oct) when the kids are back in school and it’s still warm enough to set up your easel and paints. Yes, Rockport is home to one of the most painted (and photographed) subjects in New England – the red fishing shack known as “Motif #1” and some of the friendliest lobster chefs around. The Mavens tell you what to do, and where to shop, eat and stay on this ultra New England Getaway. SEE: Paper House. A quick stop, most of this two-bedroom summer home is constructed almost entirely of 100,000 rolled-up newspapers covered with marine grade varnish. Swedish immigrant, Elis Stenman, was a mechanical engineer and an avid reader (three newspapers a day) with a unique hobby. In 1922, he began to make “logs” from these newspapers and others that friends would bring to him, and out of this unorthodox building material created his vacation home and the furniture within it. 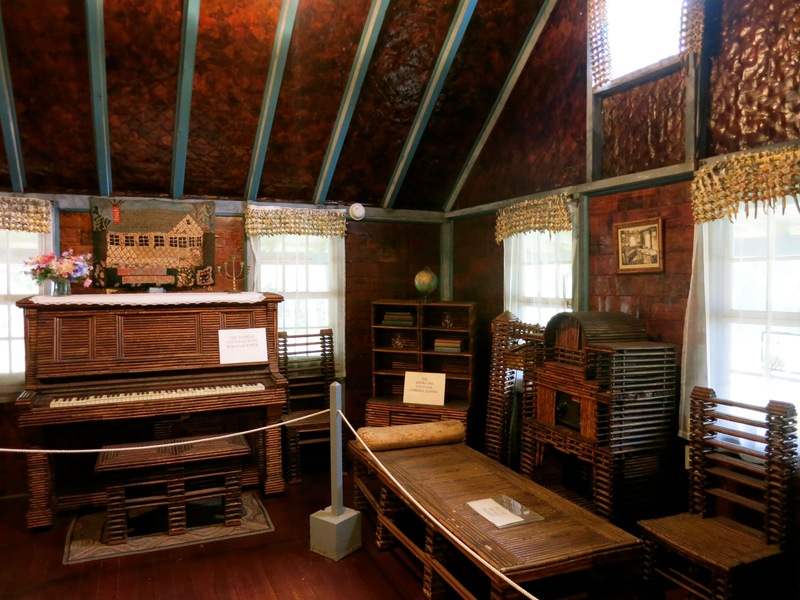 The writing desk is composed of newspapers heralding Charles Lindberg’s flight, the grandfather clock is fashioned with newspapers from capital cities of the then 48 states, and the bookshelf is made of periodicals from foreign countries. $2, Open Daily April – October 10-5. PHOTO OP: Motif # 1. Originally built as a fishing shack in 1884, this red barn studded with buoys at the end of Bradley Wharf has been a painter’s and photographer’s favorite for over 100 years. Dubbed “Motif #1” in 1945 (due to this popularity), the building has been destroyed by blizzards and storms over the years, but always rebuilt as symbol of Rockport. 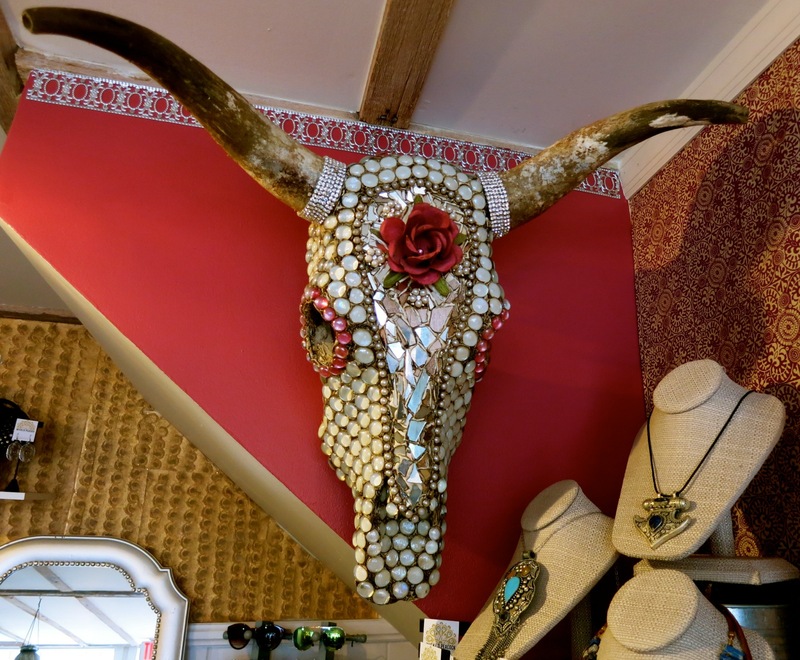 VISIT: Rockport Art Association. 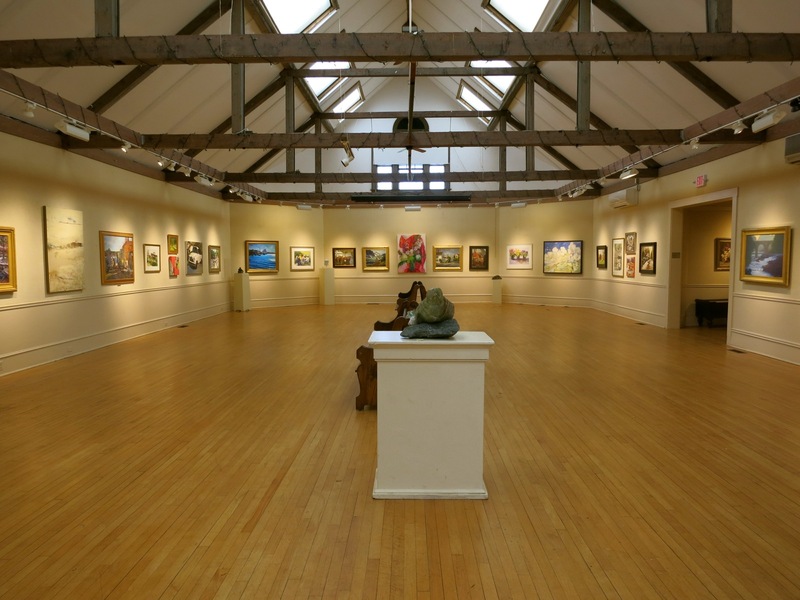 Established in 1920, this is one of the country’s oldest art associations, and still important to regional artists. 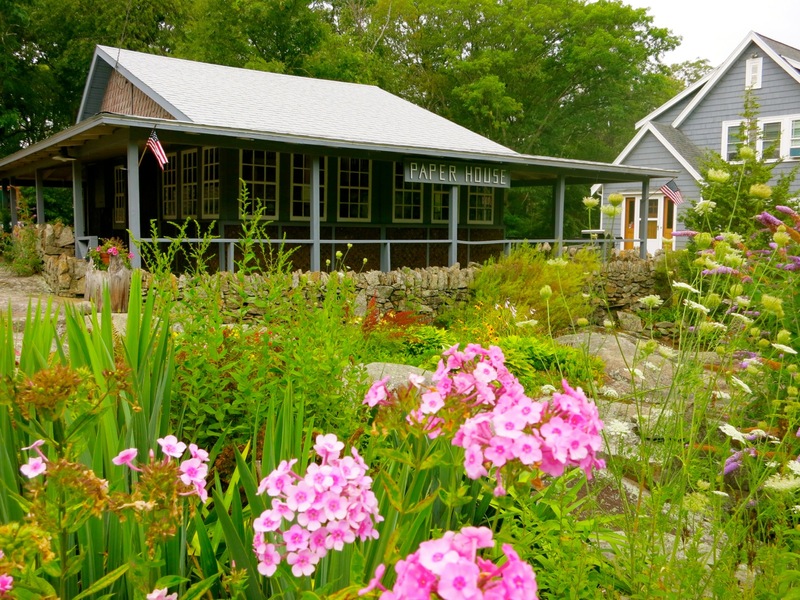 With multiple buildings, the Rockport Art Association is much larger than it first appears. You walk in to a beautiful old home, encompassing a series of galleries, and then out the back door to a large barn-like structure housing much more. It’s particularly cozy during inclement weather, but delightful at any time, especially for art lovers of all ages. Free, but donations accepted, Open summer Mon-Sat 10-5, Sun 12-5. WALK: Halibut Point State Park. 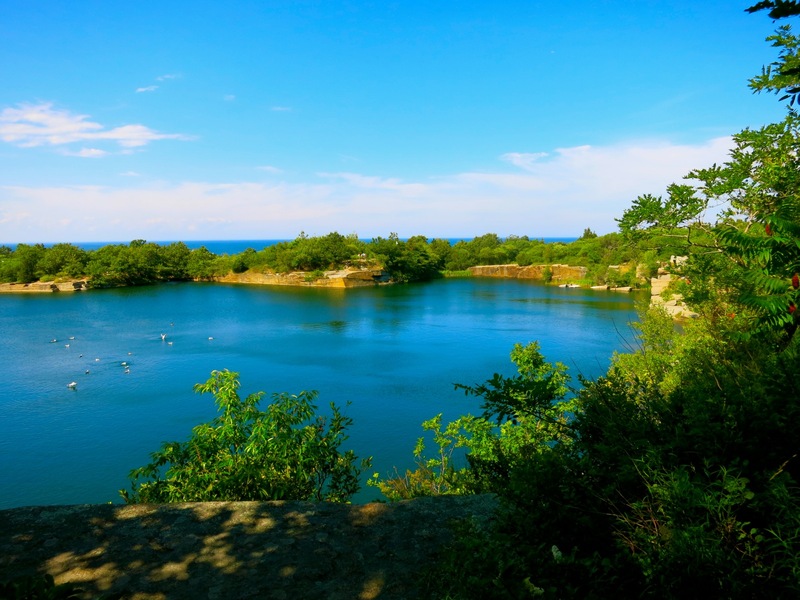 A special place and one that most tourists miss, Halibut Point State Park sits about 2 ½ miles north of town off Granite Street. It’s the perfect place to contemplate the rock that made this area famous while also blissing out to stunning ocean views. Stroll about a mile on a level dirt path around a small pond that was the former Babson Farm Granite Quarry (from 1840’s-1929) and then out to a point overlooking the ocean and the coast of Maine and New Hampshire. On Saturdays at 10am in season, watch a quarryman split rock the way it was done before mechanization; a fascinating demonstration of clever engineering. $5, tours Saturdays Memorial Day to Columbus Day. Park open daily year round dawn to dusk. DO: Swim/Sunbathe on Sandy Beaches. 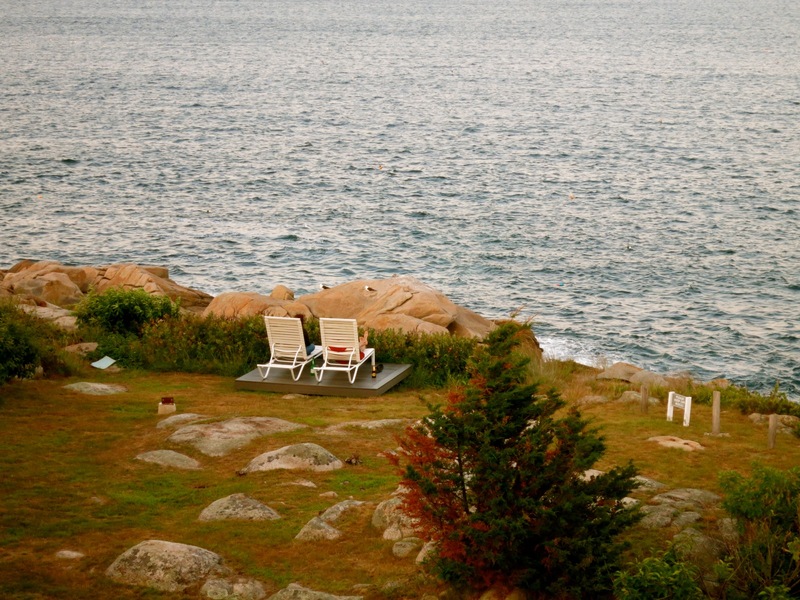 Rockport has several beaches that are perfect for sunbathing and swimming. Front Beach – right in town – features an unusual fortress-like tower, Cape Hedge Beach – 2 ½ miles from town towards Gloucester on Eden Rd. is wide and soft. And a bit farther out, on the Gloucester border (turn from South St. at Surfside Subs), you’ll find the commercial Long Beach (parking $10). FYI – most beaches here require stickers to park, so you must walk or find a local to take you. DO: Hunt for Rocks on Rocky Beaches. Dogs and rock-hunting humans love Rockport’s stonier beaches. Back Beach (right next to Front Beach in town), Old Garden Beach (about a mile walk from town), and Pebble Beach (off Eden Rd.) 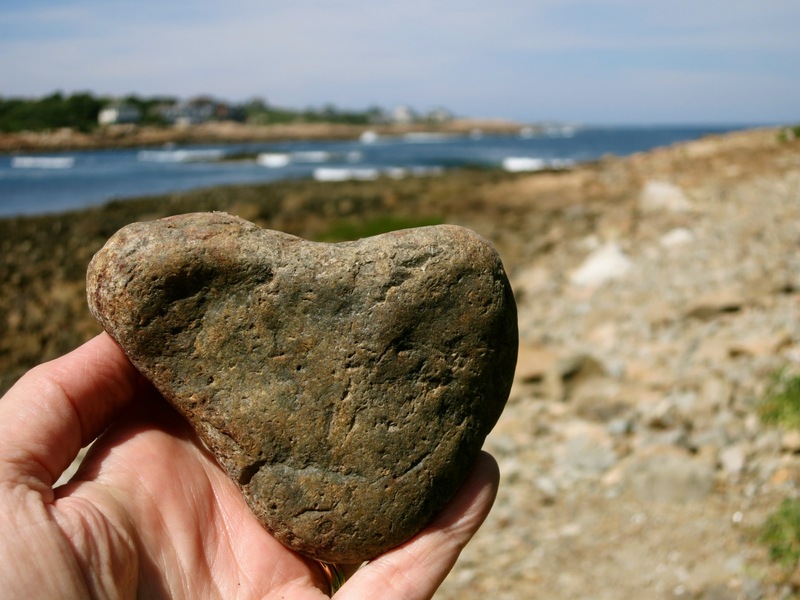 are favorites, where you’ll find happy puppies and plenty of heart-shaped stones. 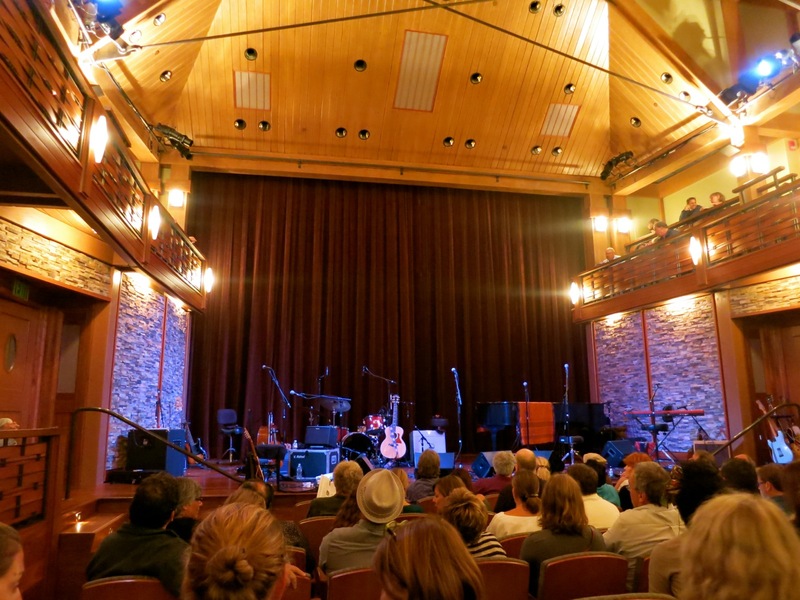 DO: See a show at the Shalin Liu Performance Center. This newly renovated musical performance space, opened in June 2010, has one feature that I’m certain no other theater has. The heavy curtains strangely hanging behind the stage open to a two-story window overlooking the water. The window is such a unique feature, in fact, the likes of boomer-favorites Melanie, Joni Collins, Livingston Taylor, and Joan Armatrading play here to see it. A few years ago, Rickie Lee Jones was bummed out to discover, mid-show, that opening the drapes would screw up the acoustics. Later on, she had them opened anyway, and the audience was treated to a nighttime scene of a sailboat swaying at anchor – seemingly to the music. SHOP: Wicked Peacock. Unique, edgy jewelry (e.g. necklaces made of quartz crystals hanging from gold fringed cords – $24), reasonably priced – need I say more? 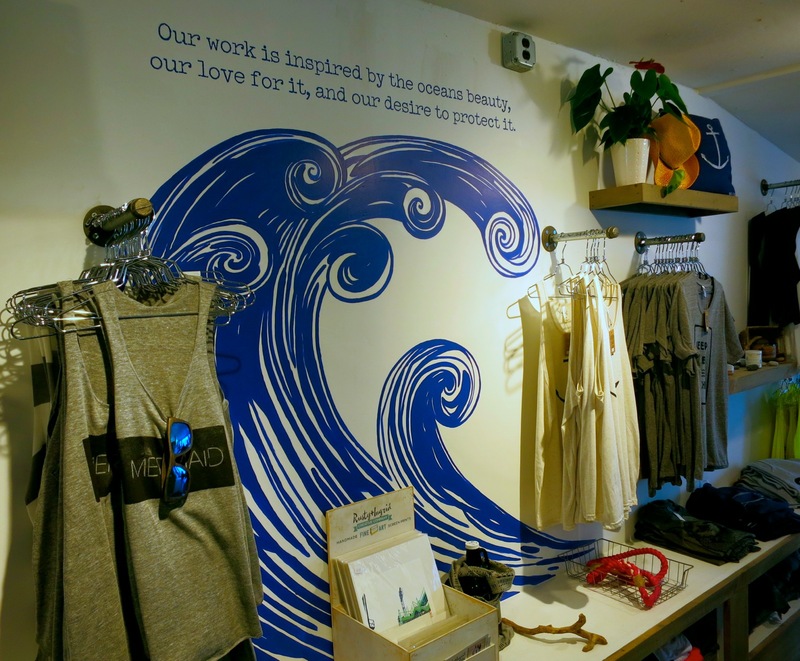 SHOP: One Ocean/One Love. Hand-blocked t-shirts and sweatshirts are soft and comfy, and well-priced ($26-$40) considering they are designed by the owners. Come in to shop or to browse while enjoying waterviews through back wall windows. SHOP/TRADITION: Tuck’s Candy. 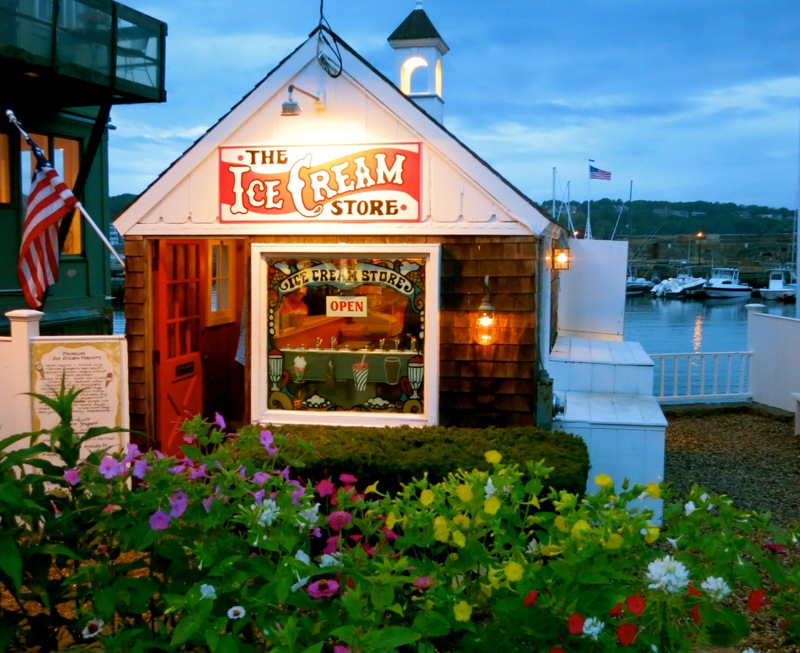 It wouldn’t be a tourist town without a Fudge and Taffy shop, now would it? 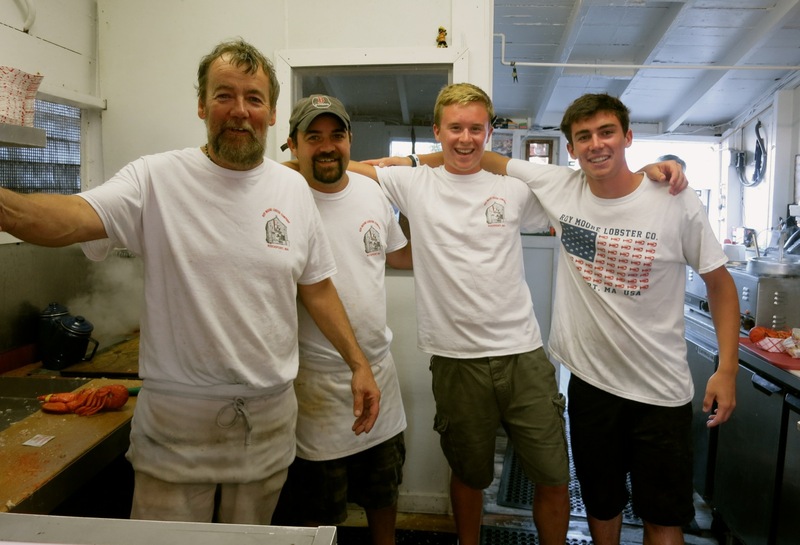 There are several Tuck’s shops in town – one where you can watch a candy maker presiding over a taffy-pulling machine. 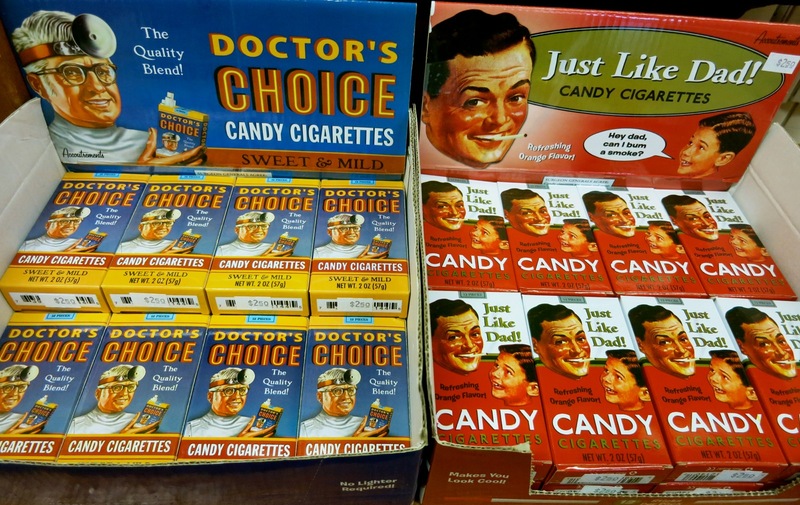 Bear Skin Neck County Store has been selling all your favorites for decades, including, yes, elusive candy cigarettes. The Pewter Store sits at a fork in the Neck, and has spoons and napkin rings galore. DO: Old Fashioned Photo Parlor. Rockport is so touristy, it’s got one of those “old timey” faux flapper/Victorian photography studios. Go ahead. You know you want to dress up like your great grandparents never did. 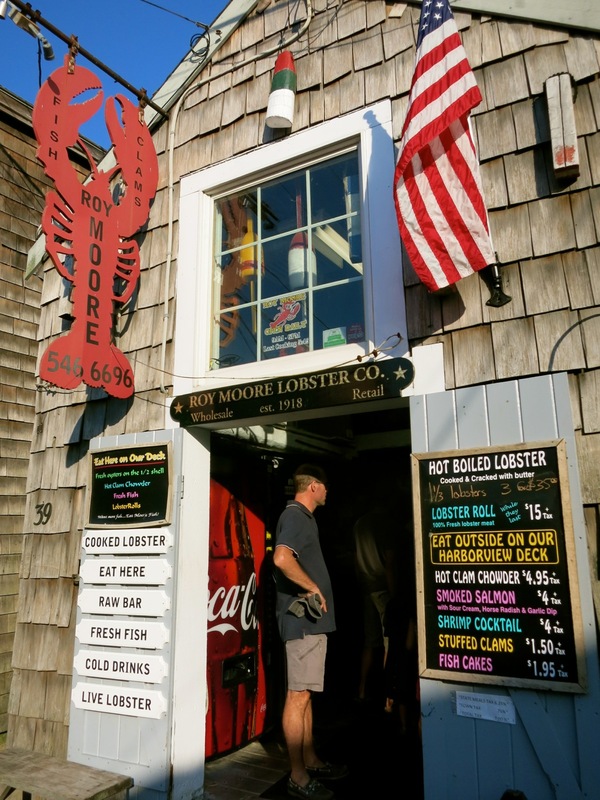 EAT/BUDGET: Roy Moore Lobster Co. Not to be confused with the shamed politician, Roy Moore, or the Fish Shack Restaurant (RM’s sit-down place), this hole in the wall has been here since 1918 (owned by amiable Ken Porter since 1986) – and to the casual observer looks like a take-out lobster pound. But you can order a caught-that-day steamed lobster (just $13 for 1 ½ lb!) from a bunch of jovial employees and eat it on a picnic table on the back deck. In fact, Roy Moore dishes up between 800 and 1,000 lobsters per day in season. There’s nothing more authentic than chowing down on these crustaceans surrounded by dry-docked lobster pots. Pure joy. 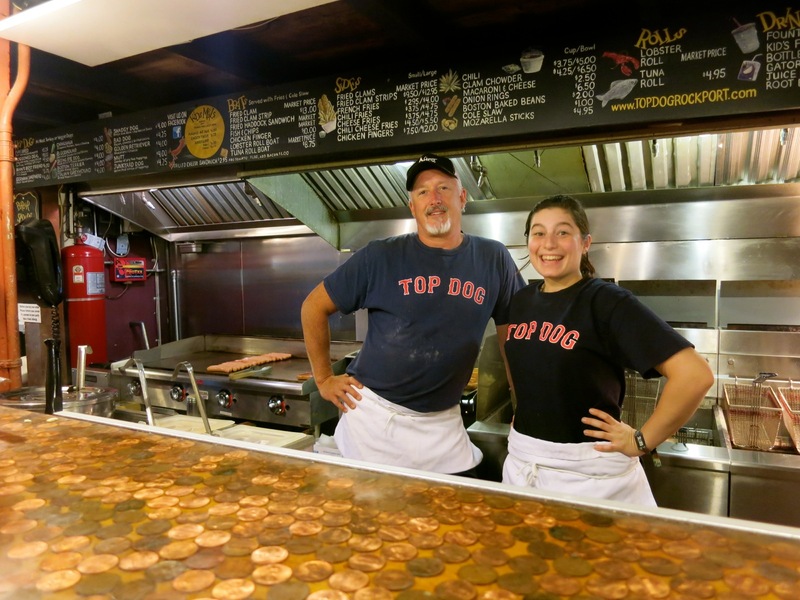 EAT/BUDGET: Top Dog. Another shack, another great meal. This time, gourmet dogs topped with house-made relishes (the Vidalia onion/carrot relish is killer), and Fried Clams voted The Best on The North Shore. I went gaga for the Shaggy Dog (with coleslaw and BBQ Sauce) and the Seeing Eye Dog (with abovementioned relish) – each just $4. Order these or the fantastic Clam Strips ($13) or Clam Bellies (MP), over a counter embedded with pennies, from a crew as cheerful as can be. Who can be sad when dishing out food like this? EAT/UPSCALE: My Place By the Sea. You’ve saved your pennies at Roy Moore and Top Dog. Now it’s time to shell out for an inventive meal well prepared and artfully plated. 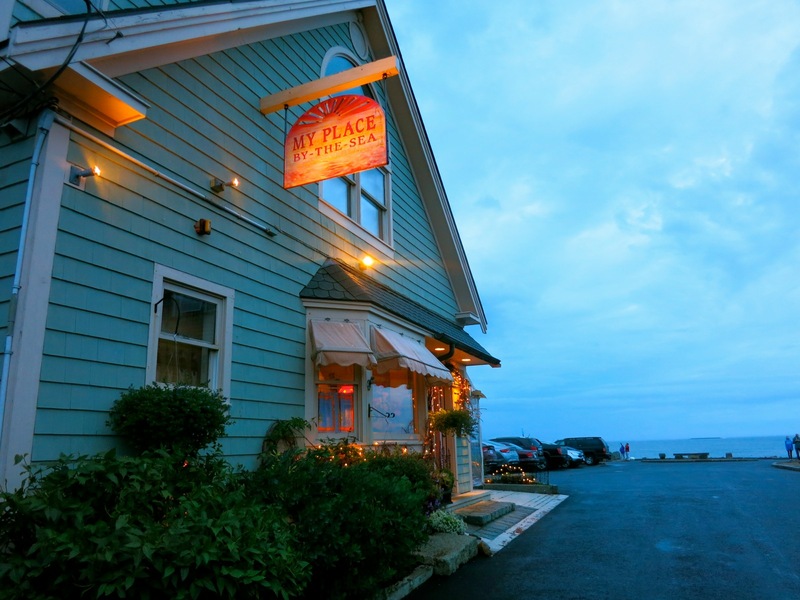 My Place By the Sea – at the end of Bearskin Neck right on the ocean – is owned and operated by Barbara Stavropoulos (front of house) and Kathy Milbury (chef) and is as far from a typical tourist “fish house” as it gets. 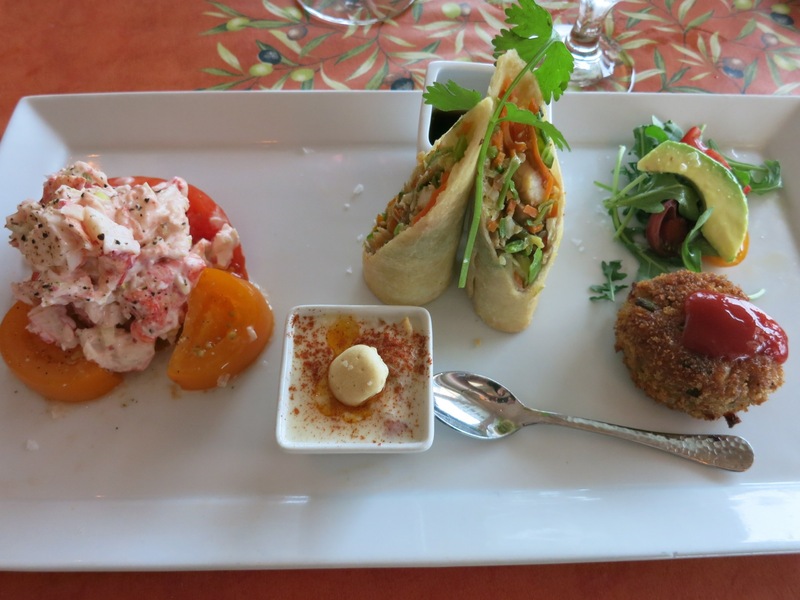 With breezy casual French decor, and set right on the shoreline rocks overlooking sailboats at anchor, you could be on the French Riviera if it weren’t for the clever applications of fresh New England lobster meat (steamed, club sandwich, salad). 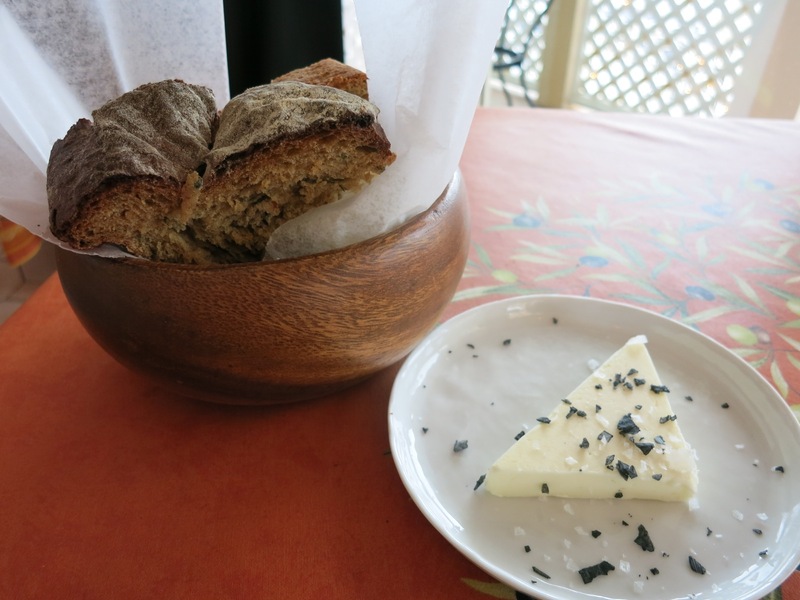 Through you will want to, don’t fill up on the sweetish, crunchy-soft rustic bread, served with a wedge of butter sprinkled with black and white salt, that comes warm from the pan. 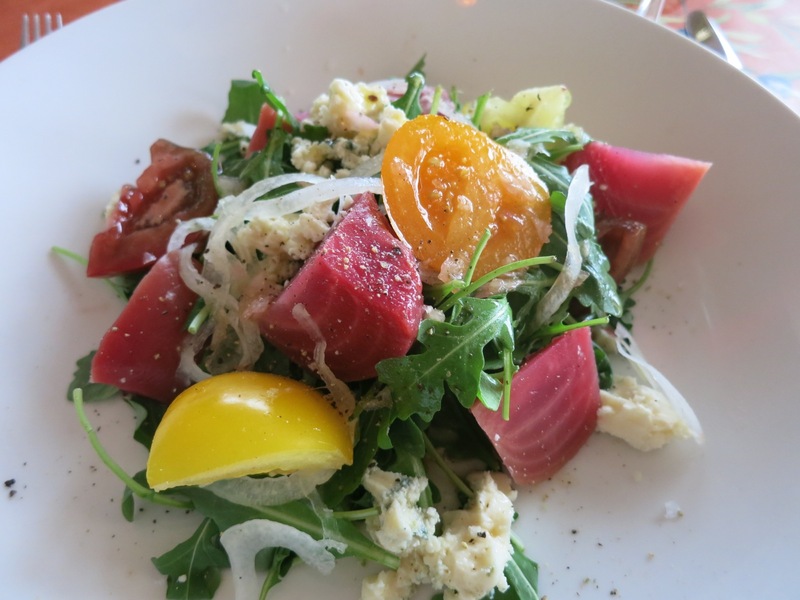 The Beet and Heirloom Tomato Salad ($15.50) is a wonder of color and tastes perfectly balanced with creamy/tart Maytag Blue Cheese. Try the fantastically tasty Sam Smith World Famous BBQ Shrimp ($16), the Chefs Daily Seafood Tasting Appetizer ($25 – perfect for two), and/or one of the creative fish dishes. End the meal with the signature Coco Daniel – a light coconut cake topped with peanut brittle ice-cream and caramel. Whatever you order, plan to stay awhile. This is not the kind of place where you want to rush through a meal. EAT/ICE CREAM: Everyone seems to have his or her favorite. My vote for cutest ice-cream shop goes to The Ice Cream Store, though Ken Porter at Roy Moore believes that Sunday’s Ice Cream Shop is the best. You can’t go wrong with a cone or cup from any one of several ice-cream joints in town. STAY: Yankee Clipper Inn. Where else can you spy an Atlantic Ocean sunrise through a porthole window in your shower? This 8 room inn (13 rooms in total with the Bullfinch House across the street), perched over a rocky coastline, stands about a mile from town, and is perfect for the traveler who cares about a friendly, accommodating welcome, hearty breakfasts warm and “we can get it for you” staff, and yes, of course, stunning scenery. 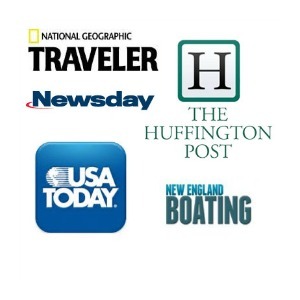 Read the complete review HERE. Rates from $189 – $399 in season, from $145-$199 off season include free wi-fi, parking, cooked to order breakfast and priceless views. 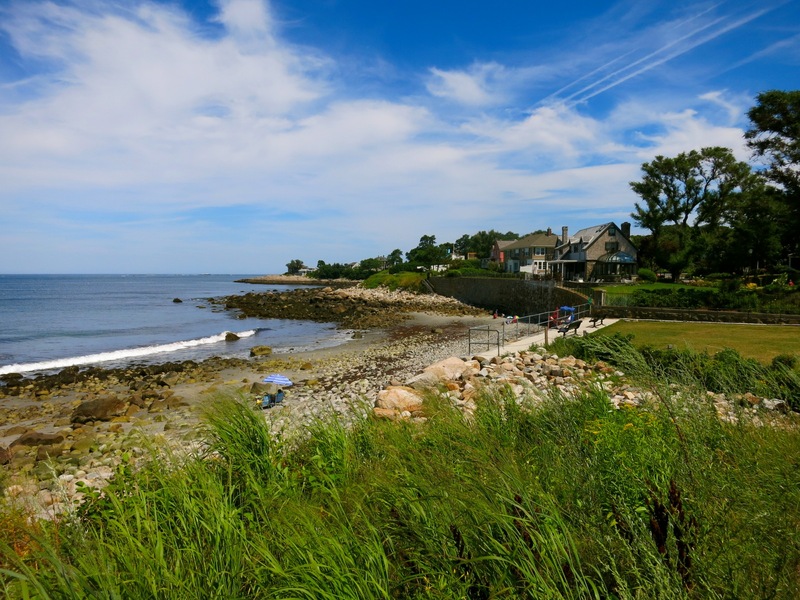 STAY: There are about 20 B&B’s in Rockport – and most are well-reviewed, especially the Beech Tree Inn, Seacrest Manor and Seven South Street Inn, all closer to downtown. Alternately, book a very basic room with smashing views at the Bearskin Neck Motor Lodge at the end of Bearskin Neck for $200 in season.